Police Accountability Project > Racial Profiling > Have you ever been stopped by police? Go to www.policestopsurvey.online to take the survey. Are you 18 years or over? Have you been stopped by the police in Victoria in a vehicle or public place in the last 10 years? We want YOU! go to www.policestopsurvey.online to take the survey! This survey is being conducted by researchers at UNSW and supported by the Flemington & Kensington Community Legal Centre, Victorian Aboriginal Legal Service. In 2013, Victoria Police settled with six young African Australians (one whom was part Indigenous) in a Federal Court race discrimination claim alleging a pattern of racial profiling and excessive force by police. 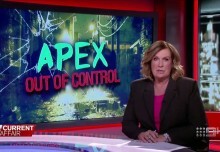 The settlement led to a review of Victoria Police’s field contact and training practices which ultimately led to Victoria Police adopting Australia’s first policy banning racial profiling by police (among other things). 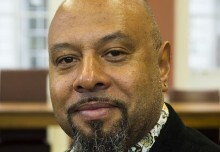 According to research by Maki Issa and Daniel Haile-Michael, two of the applicants in the claim, not much has changed. In 2017 an academic working group commissioned by the Flemington & Kensington Community Legal Centre wrote a report recommending that Victoria Police introduce a racial profiling monitoring scheme to track its progress against its policy. Currently the collection of data on who Victoria Police members stop is discretionary and not made public. Consequently it is easy for Victoria Police to deny racial profiling despite high levels of community concern among African, Pasifika, Muslim and Indigenous communities that they continue to be targeted by unfair police practices. 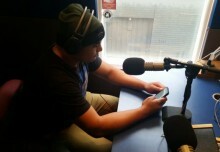 In the absence of police data tracking Victoria Police’s commitment to its policy, a group of UNSW researchers with the support of the Flemington & Kensington Community Legal Centre and the Victorian Aboriginal Legal Service has commenced a survey of the experiences of being stopped by the police in Victoria. The researchers are calling on all Victorians to consider participating and particularly those from Indigenous and diverse racial and ethnic backgrounds. 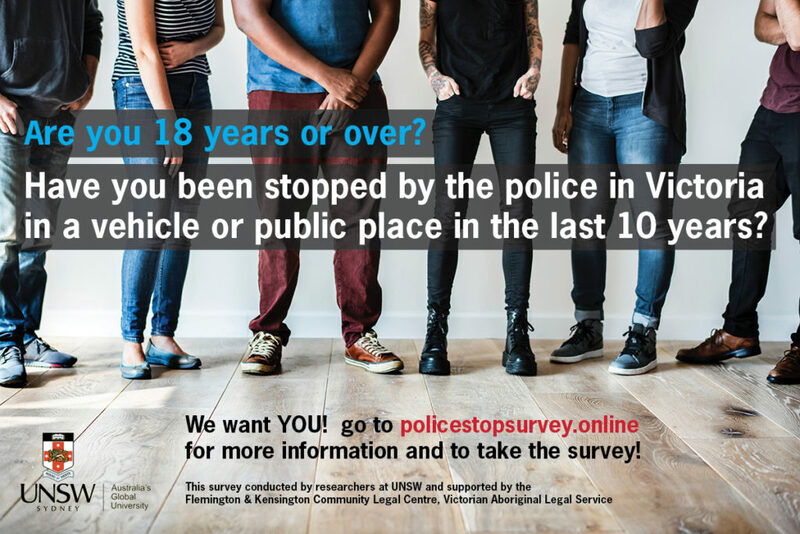 To participate in the survey, you must be 18 years or older and have been stopped by a Victorian Police Officer or Protective Services Officer at least once in the last 10 years. We are tracking both pedestrian and vehicle stops. Any experience of a police stop is of interest to this research, positive, negative or neutral. The survey aims to provide evidence to assist legal and law reform strategies towards preventing unfair policing practices.